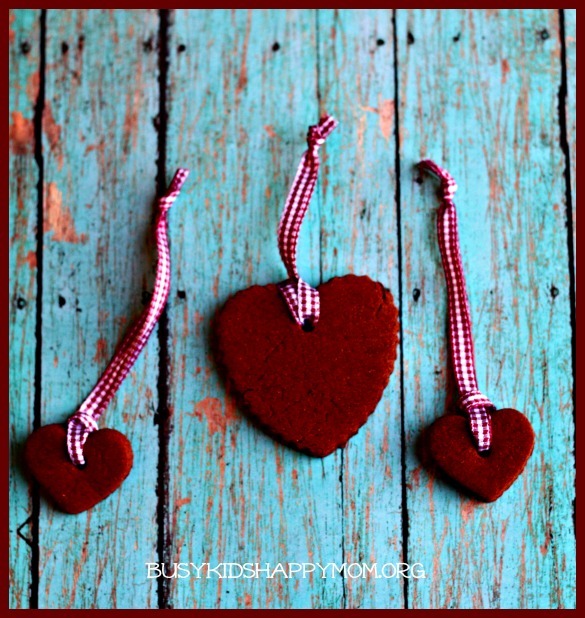 I Spy Christmas Ornaments….It’s beginning to look a lot like Christmas! 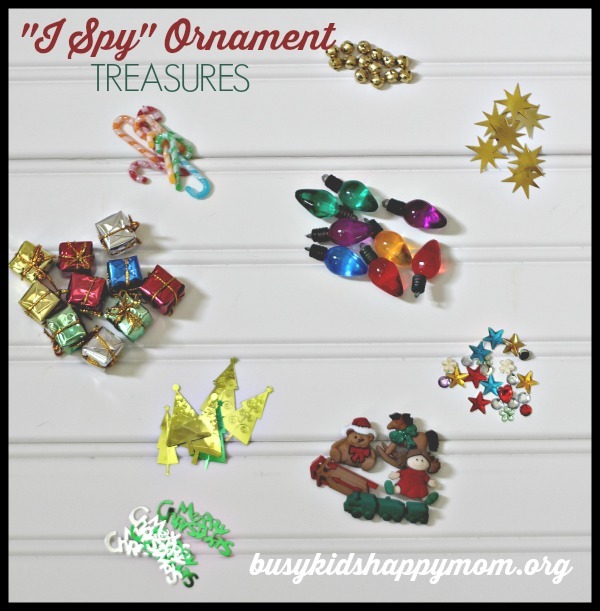 This I Spy Christmas Ornament is a fabulous gift, just pair it with your favorite “I Spy” book. These are perfect for home or school. I’m going to call this a craft, but it was really more of a hunting and gathering expedition. 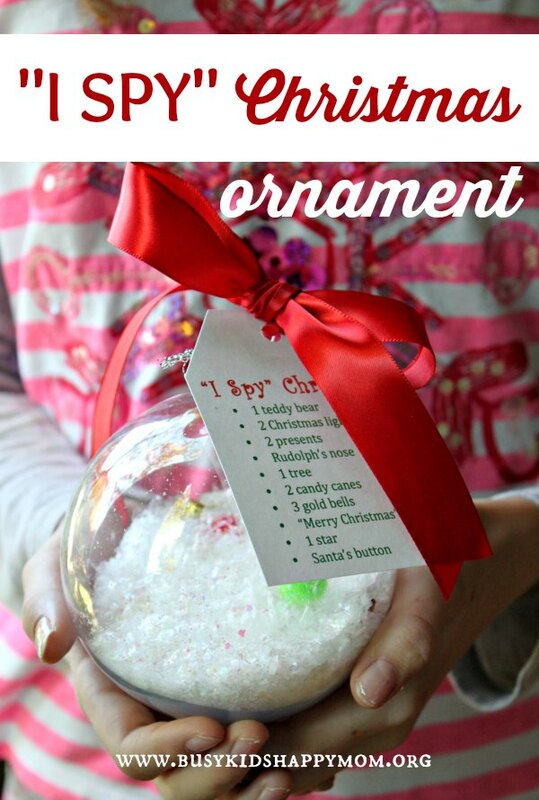 Going to the store was an “I Spy” trip – can you find tiny little things that will fit inside of an ornament ball! 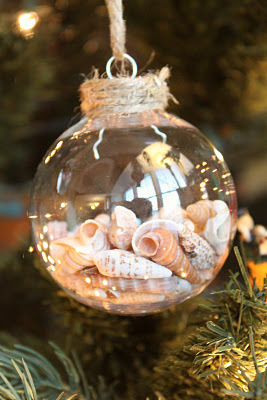 We had a lot of fun finding the little odds and ends to go in the I Spy Christmas Ornament. Then putting it all together only took a few minutes. A classic Christmas ornament to enjoy for years to come. Tip: Check out these guidelines for using a hot glue gun with kids. You can find many of these items at the Dollar Store and party store if you look early enough. I was able to find the mini presents, confetti, and large ornaments at the Dollar Store. Good deal! Hobby Lobby and Michaels also seem to have a good selection. If you plan ahead, Oriental Trading is a good place to look too. Remove the top of the ornament then fill it up halfway with fake snow. Use a rolled up piece of paper to act as a funnel. Next, insert all of your treasures. Then, hot glue the cap back on the top. Finally, attach a ribbon and a tag. You did it! Merry Christmas! Walter Wick I Spy Books are popular for all ages. He’s written board books, beginning chapter books, a phonics series, and books for every holiday and event you can think of. Kids LOVE I Spy books! I recently bought two I Spy books for a friend that is adopting a child. :^) And other I Spy books for an adult with special needs.